Are you heading to Munich with your family? Wouldn't it be more convenient to order a van with a professional driver before arriving in the city? We are sure you have thought about this, too. That's why you are getting more information about 8Rental before you determine to entrust your transportation to us. Well, 8Rental is one of the most trusted cars and driver suppliers in Europe. Booking a van from this service, you are provided with some advantages. Would you like to know what benefits are waiting for you here? Despite the two world wars that almost wholly destroyed Munich, this German city is still "on its feet" attracting numerous foreign visitors every year. It is a famous business city with much to offer to tourists, too. So, if you are traveling with your family, you will need to rent a van with a driver in Munich. To make the vacations utmostly enjoyable for your teenage children, 8Rental suggests making a precise plan for the entire weekend beforehand. 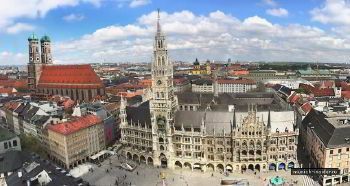 Make sure you have included visiting Marienplatz; Glockenspiel am Rathausturm and Munich Residence into the list of must-visits for the first day. Take your children to dine at LENZ Schankund Speiselokal. Here they can enjoy delicious German meals at affordable prices. 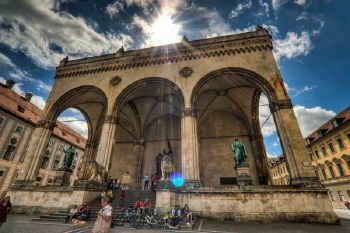 Hire a chauffeured driven minibus in Munich for comfortable traveling on the second day, too. Devote this day to BMW Museum and Olympiapark. And if your children got tired of German meals, take them to Traverse EI Greco Inh. Hr.Angelidis restaurant that serves Mediterranean cuisine. And the last day in Munich with your family should be spent in churches of the city. 8Rental car rental service is ready to be by your side throughout these couple of days in Munich! Suppose you have already decided to rent a van with a driver in Munich yet can't determine which model to choose. No need for a mess up! Contact our cs operators and get reliable recommendations. 8Rental has several minibus offers. If your family is not that much extended, a Mercedes Viano can become an excellent choice. It can drive up to eight passengers. This van is a standard class vehicle, yet looks elegant and will drive down the city roads safely. Another excellent option to consider when hiring a minibus is Mercedes Sprinter. It is significantly a larger vehicle with a capability to drive over two tens of persons. You and your family won't feel any discomfort in this van, as it can take any direction as smoothly as you could never expect! All these vehicles are in excellent condition and won't let you down right in the middle of the street! 8Rental chauffeur service provides its vans exceptionally with drivers. Here you can't rent a car and drive yourself. And why should you if our entire professional staff of chauffeurs is at your disposal! These are licensed and skillful experts who have been operating in Munich for many years. 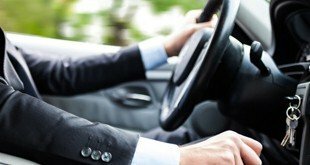 What we guarantee each driver shows a responsible approach to every client. Besides, they can speak not only German but also a series of other languages. Choose the driver you will be able to communicate. Do you think our offer is limited to supplying premium vans and credible drivers? You are mistaken! 8Rental has a couple of pleasant surprises for all its clients. The first surprise is free fuel. Irrespective of the length of your route in this city, the necessary fuel is under the responsibility of the company. Just the same way, we are in charge of all taxes and fees. Besides, we shall provide you with insurance in case of an emergency. What concerns discounts, our faithful clients are well aware of them! 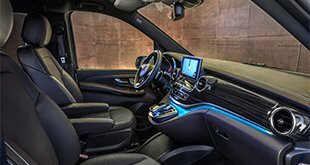 Become one of them by renting a van with a driver in Munich!